Vinyl banners are an effective marketing tool, used for a wide range of advertising purposes. 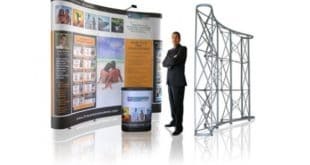 Some businesses use vinyl banner stands and poster printing to promote special sales, while others use them to draw attention to a specific area of their store. These banners also prove to be very effective outdoor vinyl signs, since they are weather resistant to a large extent. All your banners need is clear information of your products and services, an attractive design and your contact details, say experts at Print Banners, a leading printing service for vinyl banners. Here’s a look at things to consider for vinyl banner printing. The misuse of RGB and CMYK color systems in designing affects the quality of the output in custom vinyl banners. In RGB (red, green and blue), light is used to mix the colors, and the more light that is added, the brighter and more vibrant will be the output. In CMYK (cyan, magenta, yellow & black), inks are mixed to create different shades. If you choose RGB instead of CMYK, you will end up with fabulous colors that just can’t be printed without using special inks. An experienced service provider will inform you of the difference between the two color systems and guide you to use the right one for vinyl banner and poster printing. The location and occasion where you want to use the banners is also important. Outdoor vinyl signs will be different from vinyl birthday banners, for instance. The size of the banner will also be decided by the content you wish printed and the space available for display. If you are placing a banner in an alley or you need to print a lot of information, choosing a larger size would be feasible. It has been said that if used effectively, a picture speaks a thousand words. However, putting in too many images and graphics will make the banner seem cluttered and confusing, and your message will be lost. Use of one large, striking image that draws the eye to the banner and make sure that your business’ information and logo are clearly visible. Choose the image wisely, since the choice of image can make a strong statement about your brand. People may only get a few seconds to glance at your banner, so you need to have a clear, simple and informative headline as part of your vinyl poster printing. The headline should be more than your company name, if you want to attract new customers. The font size of the headline should be big enough to be read by your target audience from afar. An eye-catching image and headline should be backed by a brief message that you want to convey to the audience. One or two lines are more than enough and keep the text size as large as possible. Don’t forget to add your contact details and links to your website and social media accounts. With attention spans rapidly decreasing to below 10 seconds on average, simple mistakes in designing and printing vinyl banners could not only mean a waste of money and effort but could even harm your brand image.